Today The Range has announced it will be opening a 65,000 sq. ft. superstore and garden centre in the former B&Q site on Boucher Road, Belfast. The popular budget department franchise sells homeware, leisure, fashion and gardens goods. They have over 160 across the UK and 5 stores throughout Northern Ireland in Connswater, Ballymena, Portadown, Derry and a store under construction in Glengormley. The former B&Q site which comprises a 150,000 sq. ft. warehouse has submitted a planning application to turn it into five separate units and redevelop the front façade. It is hoped the Range will be open by the end of 2019. 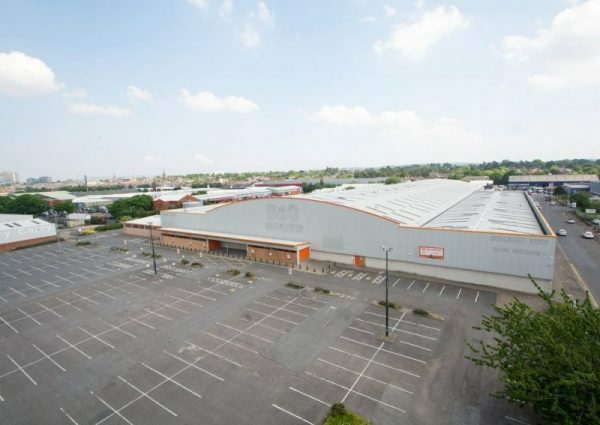 TDK have been in discussion with a number of well-known retailers who have expressed interest in the remaining four units which range from 11,550 sq. ft. to 32,500 sq. ft.
Having secured The Range, anchoring half the site, we are sure it won’t take long for this rest of the units to be snapped up creating another strong retail hub in the Boucher area of South Belfast.